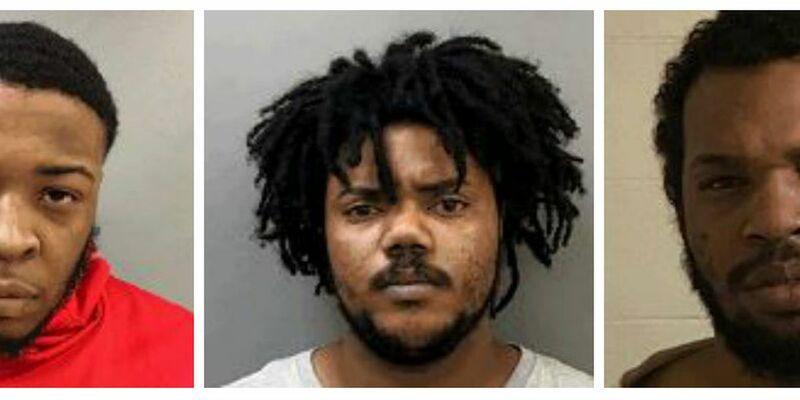 CHICAGO, IL (KFVS) - Illinois State Police have made three arrests in connection to an expressway shooting that happened on February 4 on I-57 northbound in Chicago. Three people were shot in a vehicle ages 38, 15 and 12-years-old. The 38-year-old was in critical condition and the others in stable at the time. ISP Investigators identified two suspects involved in this shooting; Christian Plummer, 23, and Jonathan E. Thompson, 24, both from Markum, Illinois. ISP Investigators executed an arrest warrant and took Plummer into custody without incident on March 14. After a search a .223 AR-15 Rifle, a Mac-10, two Rifles, and one Shotgun were found. The Cook County State’s Attorney’s Office approved three counts of Attempted Murder charges against Plummer; Plummer was also charged with Aggravated Unlawful Use of Weapon by a Felon. Plummer attended a bond hearing on March 15, and was ordered to be held with no bond. Investigators executed an arrest warrant and took Thompson into custody without incident on March 19. The Cook County State’s Attorney’s Office approved three counts of Attempted Murder charges against Thompson. Thompson is scheduled to attend a bond hearing on March 21. ISP investigators made contact with Jamar Washington, 23, from Matteson. Investigators recovered a Glock .357 from Washington’s home. The Cook County State’s Attorney’s Office approved one felony charge of Unlawful Possession of a Firearm against Washington. Washington is scheduled to attend a bond hearing on March 21. Charges related to this shooting were not filed against Washington.